4D Prints are Lenticular items that allow you to have up to 3 distinctive photos in a single space by flipping from one to another. Your pictures are developed with a changing effect. While moving your card up or down, a picture disappears, while another picture comes into visibility. Complete width with plastic 4D viewer and backing is 21pt. LIMITED TIME: 500 Holographic Business Cards with FREE SHIPPING! Only the front side of the lenticular card can have the 4D effect. 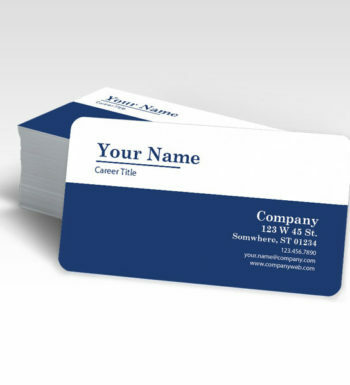 The back side of the card may also be imprinted in regular full color printing process. Our lenticular sheets are 75 LPI. LPI signifies Lenticules For each In .. Listed below is an model of the front side of a 4D business card. Simply click the Transition / Flip button to see it in motion. As you have seen above, your pictures will changeover from one to another as you slowly move the business card down and up. Currently, just a up and down changeover or switch can be obtained for purchase. – White-colored and light tinted locations are clear, other views / flips will show through light colored areas creating a ghosting effect. White-colored and light colored parts only work effectively if every view has white/light shades in the very same location. – Dark strong shaded and/or textured backgrounds work nicely. – Steer clear of tiny, fine and skinny fonts. Text gets altered throughout the lens / plastic material, therefore the the much more bold the more effective. – Use bold San-Serif typefaces. – 4D effect is most effective once the variant from picture to picture is simple and easy. – Textual content that differs from view to view or file to file should never overlap, it must be in different placements on every view. Yet another thing to be aware of is how many files are going to be submitted. This will depend if you select a 2 or 3 picture changeover.